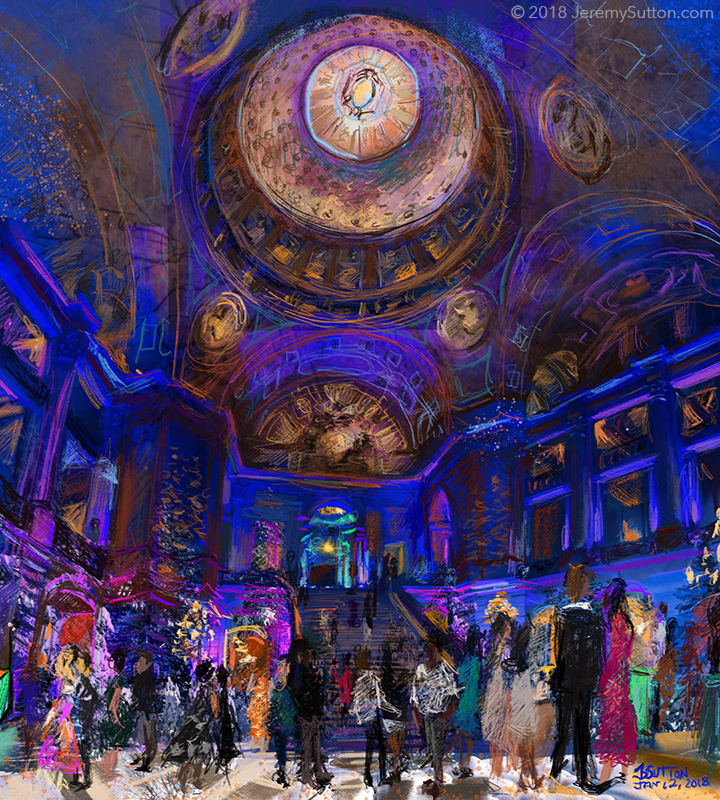 Live painting of the scene at a Google Holiday Party in the magnificent and historic San Francisco City Hall Rotunda. This took approximately three hours and was created using iPad Pro, Apple Pencil and Procreate app. My iPad screen image was displayed on a 46″ LED screen. The party theme was Winter Wonderland and my choice of background imagery (snow and trees) and colors reflected that. Guests were fascinated to see the painting unfold and many came up to compliment me on the emerging artwork and ask about my process and tools. Thank you Kristen and Lauren – great working with you!